President Bashar al-Assad of Syria threatened to cleanse the country a day after a Damascus mosque bombing killed over 48 people, including a top Sunni cleric who was one of Assad’s staunchest supporters. The president of Syria said he wanted extremism to be cleansed. SANA, the Syria State News Agency said among the dead was Mohamed Saeed al-Bouti, the Sunni cleric who was one of the most prominent clerics to support Assad’s regime in the government’s fight against the rebels. Assad, in a statement he released, condemned the bomb attack and mourned the death of Bouti, while vowing to eliminate ignorance and extremism in the country. 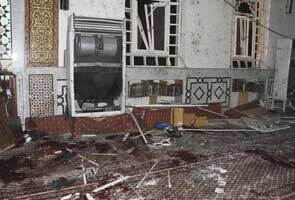 The opposition to Assad also condemned the attack and raised the idea that the regime possibly was behind the bombing on Thursday night at the Iman Mosque. SANA said a suicide bomber carried out the attack when he blew himself up just after walking inside the mosque, where at the time, Bouti was giving an address to religious students. The state run media agency also said that a grandson of Bouti was among those killed in the attack. Assad said he promised that Bouti’s blood along with that of his grandson and all martyrs of Syria would not be spilled in vain, as he will make sure ignorance and extremism is eradicated. Gruesome footage was shown on television from the interior of the mosque where many corpses and parts of bodies, including hands and limbs, were thrown about on the floor in pools of drying blood. Al-Bouti became the most senior religious figure killed during the civil war. His slaying is a major blow against Assad.